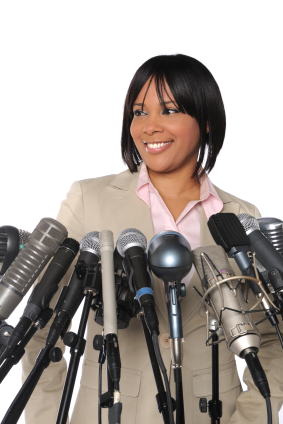 As a PR pro, you may find yourself called upon to write speeches. Whether you’re writing a speech for your company’s president to give at an awards ceremony, a political speech for the country’s President to give in front of the Joint Chiefs of Staff, or a hastily written apology speech when someone in your company has misbehaved, all good speeches share a few traits in common. 1. Know Your Audience – You wouldn’t send a raunchy standup comedian to entertain your grandmother’s garden party, but you run that exact type of risk when you write a speech without knowing your audience. A group of scientists are going to know facts and figures and be skeptical of any unproven data, while a group of high school students will get bored with a speech that sounds too much like chemistry class. Know your audience before you even put fingers to keyboard. 2. Stick to One Topic – Ever a long speech like the President of the United States’ annual State of the Union Address sticks to a single topic (hint: The topic is “the state of the union.”) If the President’s speechwriters can keep him on topic for a whole hour, then you can keep your speaker on topic, too. Avoid digressing too far from the speech’s main idea. 3. Use Timely, Accurate and Well-Researched Information – Is the person you’re writing the speech for going to start off with a quote? Make sure you attribute it to the right person. Will she cite facts and figures? Make sure that they are as up to date as possible, and preferably from verifiable sources like the government, peer-reviewed journals or research organizations. 4. Repeat Crucial Points and Buzzwords – Someone who has a question after reading a document can simply reread the salient points, but audience members at a speech do not have that opportunity. Repeat important points and buzzwords. Repetition increases understanding and retention. 5. Read the Speech Aloud before Signing Off – “Padre Peter’s purple pickled pilsners” is easy to read but not so easy to say. People also tend to get tripped on long words or words with “ess” sounds. Check for torturous tongue twisters before your speaker stumbles on stage. 6. End on a Forceful Note – There’s nothing worse than the speaker having to prompt the audience with a “Well, that’s it…” to let them know that the speech is over. Make sure that the final few words in your speech sum its main ideas up and end on a powerful note. If you succeed, the ecstatic applause will occur naturally at the end of the speech.